Scroll down, click here or visit our Gardening adboard for Daily Info's favourite garden-related websites! Eden Project: www.edenproject.com Vast greenhouse set in Cornish quarry, housing tropical rainforest. The Kew Gardens website at www.kew.org.uk with information about Kew, the services they offer and a facility for asking questions. The Museum of Garden History, www.cix.co.uk/~museumgh. Articles on the website about aspects of garden history, eg. The John Tradescants, as well as information about the museum itself in London. 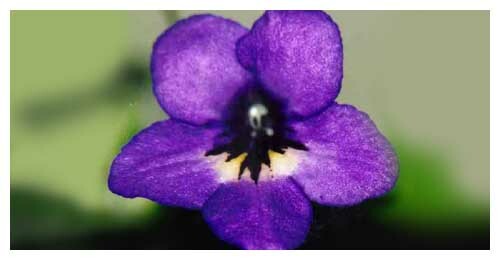 www.gardenpicture.com, on the other hand, contains a collection of 5000 photographs of plants, flowers and gardens. There are various gardens, not usually open to the public, that allow visitors only a couple of times a year; full list available at www.ngs.org.uk. A somewhat eccentric site devoted to enthusiasm for old lawnmowers is at www.oldlawnmowerclub.co.uk. A campaign for planting trees in the new millenium is at www.totap.org.uk. Plant a tree at futureforests.com and help stop Global warming. There's instant gardening (plus some useful tips) at www.bbc.co.uk/groundforce. The flower and plant association offers tips on which houseplants are good for your health and how to make your cut flowers last longer: www.flowers.org.uk. Two useful sites for teaching Flower Anatomy For Kids: www.kremp.com/flower-anatomy-for-kids-articles.htm and www.avasflowers.com/kids-guide-to-the-parts-of-a-flower. If your gardening aims are a little more exotic, consider a visit to Growing Citrus UK, whose website at www.growingcitrus.co.uk will advise you on all aspects of establishing your own vitamin c factory. Even more tropical are the products of www.jungleseeds.co.uk, who will sell you seeds of anything from Eucalyptus trees to Pink Bananas. Good luck growing them in the UK without a pretty serious greenhouse. Try www.sarracenia.com/cp.html for all your carniverous plant questions, and www.nhm.ac.uk/fff to search by postcode for plants that grow near you. Less about gardens than the buildings within them, www.imagesofengland.org.uk offers thousands of pictures of this country's listed buildings. www.greatbuildings.com provides a similar service spanning the entire globe, including interactive 3-D models and heaps of useful information.